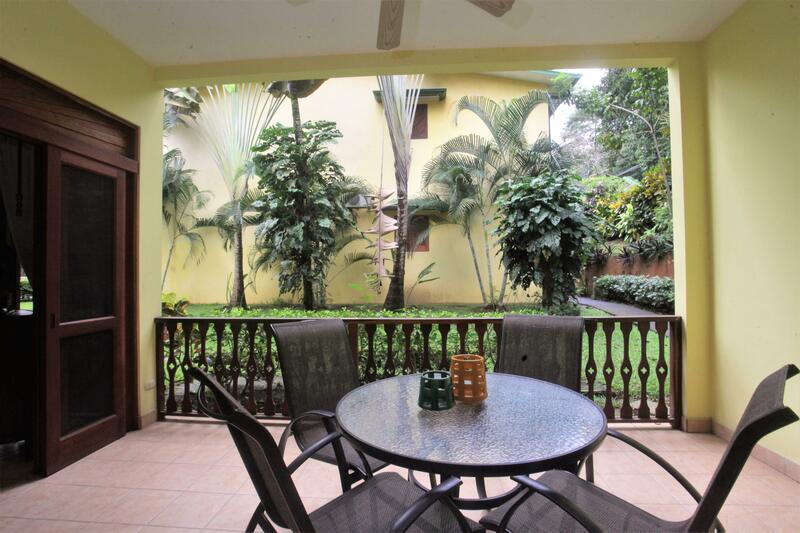 Elite Vacation Rentals is your one stop to begin planning your perfect vacation in sunny Jaco Beach, Costa Rica. If you feel adventurous and want to experience something truly unique, our spectacular vacation condos are the place to start. Let our Concierge Team help you, both prior to and during your trip, to ensure you get the most out of your vacation. You will be introduced to your concierge after booking, and from there you will have a trusted partner that can assist with most any service you can think of,including pre-stocking food and drinks, booking tours, airport transfers, and any other personal support you would require. We love it here and hope you will too! Our Macaws Ocean Club #2 is a recent addition to the rental market after a fantastic full remodel! We are located at the tranquil south end of Jaco Beach where the beach is sandy, the waves are calmer and the scarlet macaws are plentiful. Located less than 400 feet from the ocean front, through a private and secured jungle path, you can enjoy the beach from morning coffee to the unforgettable Pacific Coast sunset. Or simply step out the front door for a warm sunny day lounging by the pool.LEARN MORE & BOOK! Center of Jaco Walk to Everything Including the Beach! Our Monte Carlo Luxury Condominium is one of the most competitively priced condos in the desirable community of Jaco Beach. We are ideally located just near the center of town within steps to beach, shopping, restaurants, pharmacy, salon, supermarket, tours and nightlife. You can walk everywhere from this awesome location. Taxi service is conveniently located that the front gate. This is a quiet complex, perfect for families or a romantic vacation. LEARN MORE & BOOK! New to the market, Macaws Ocean Club #8 is a ground floor condo, done in colorful, contemporary style enhancing the feel of being in the tropics while offering all the comforts of home! Two bedrooms, each with en-suite bathrooms, a sofa-sleeper with a queen size, Tempurpedic mattress, and a third full bathroom allowing 6 guests to sleep comfortably. 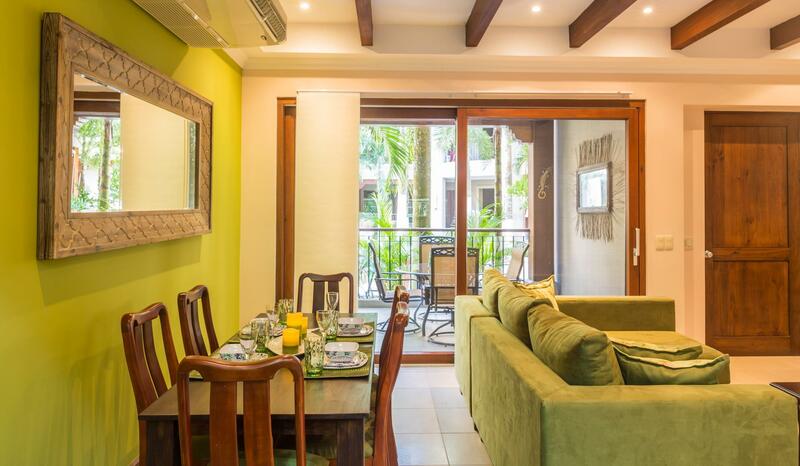 Enjoy dining outdoors, just steps away from the pool. Add a fully equipped kitchen, washer and dryer, flatscreen TVs, cable, Wi-Fi . . . it all adds up to total comfort in your home away from home. LEARN MORE & BOOK! Located on the pristine south end of Jaco Beach, Club del Sol is a gated property of 16 condominiums set back just one block from the beach. 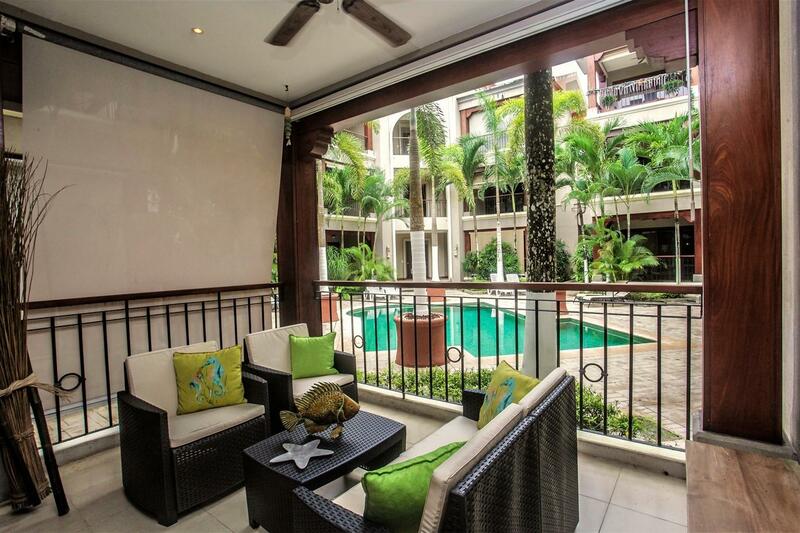 Enjoy your days poolside, beachside, or relaxing on your private terrace. This first floor condo is just steps to the pool and common area equipped with a full size gas grill for your use. If you don't feel like cooking for yourself, the Tiki Bar and Restaurant is just steps away. Grab a cool beverage and watch one of the most amazing sunsets ever. LEARN MORE & BOOK! 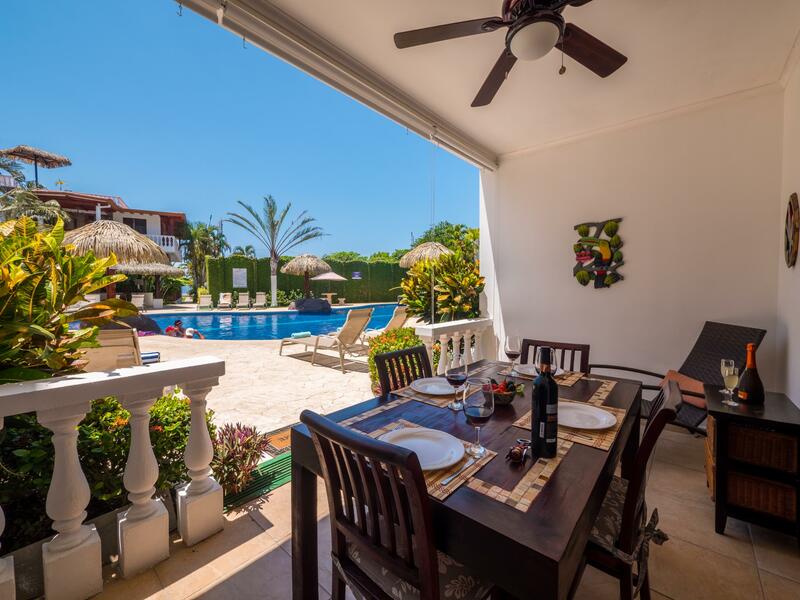 Located on the pristine south end of Jaco Beach, Club del Sol is a gated property of 16 condominiums set back just one block from the beach. 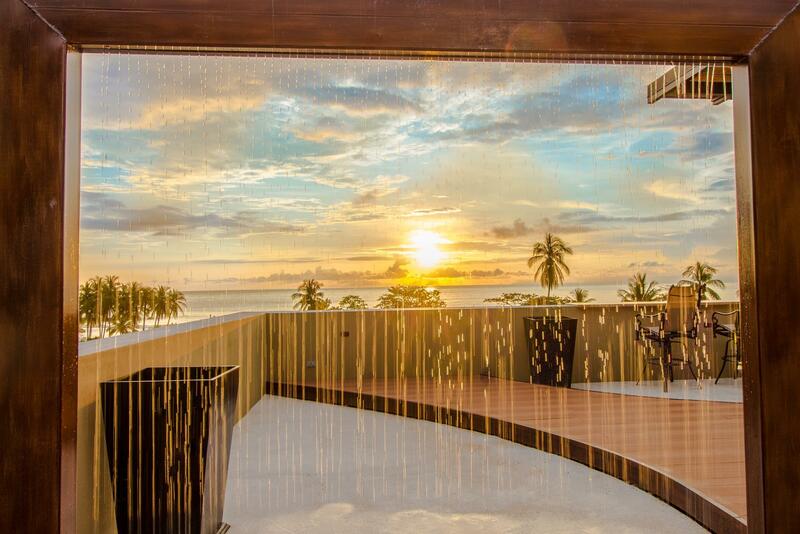 Enjoy your days poolside, beachside, or relaxing on your private terrace. This first floor condo is just steps to the pool and common area equipped with a full size gas grill for your use. If you don't feel like cooking for yourself, the Tiki Bar and Restaurant is just steps away. Grab a cool beverage and watch one of the most amazing sunsets ever. .LEARN MORE & BOOK! Penthouse Ocean Views on the Peaceful South End Jaco Beach! 2 Night Minimum Stay! 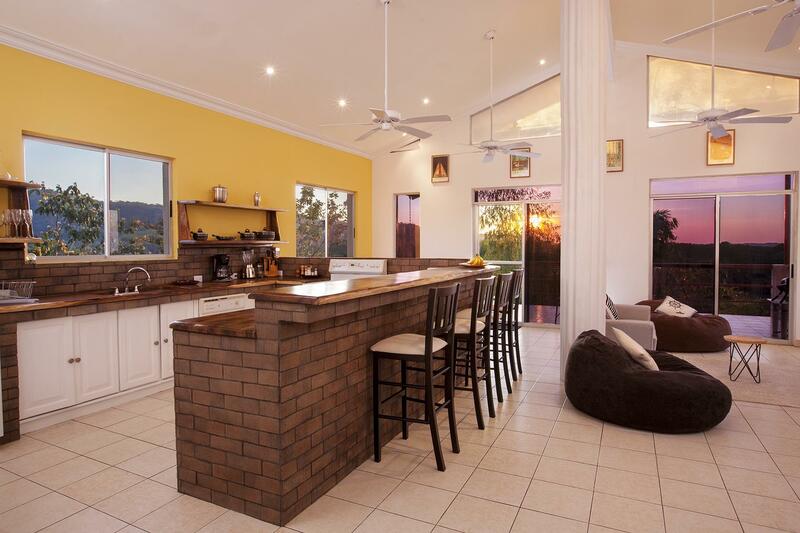 This boutique property is the perfect spot for a romantic getaway or fun with friends. This intimate setting keeps the Jaco beach experience simple. 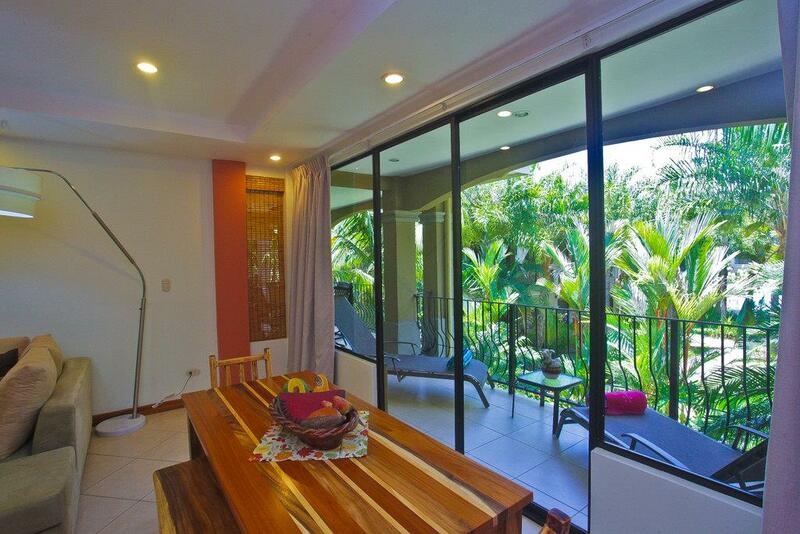 Completely guarded and gated, you will feel secure as you enjoy Costa Rica. Large 1700 sq. ft., 2 bedroom 2 bath with western amenities.Enter through your private entrance into a full dining room for 6-8 people overlooking a large great room and kitchen. Off the great room and kitchen is a large balcony for dining alfresco or lounging as you watch the ocean waves. LEARN MORE & BOO! EXQUISITE OCEAN VIEWS IN BEAUTIFUL HOME SURROUNDED BY NATURE. 4BED/3.5BATH. Sleeps 8. Stunning ocean views, refreshing breezes and beautiful nature converge in this home to make your stay in Hermosa Beach, Jaco, truly unforgettable. The home offers a secure, convenient, accessible, peaceful and relaxing lodging option for families, groups of friends or even couples. Located at the base of the mountain and only five minutes to the closest beach and restaurants, this gorgeous residence features beautiful scenery, which you can enjoy from the relaxing balcony or the refreshing pool. LEARN MORE & BOOK! 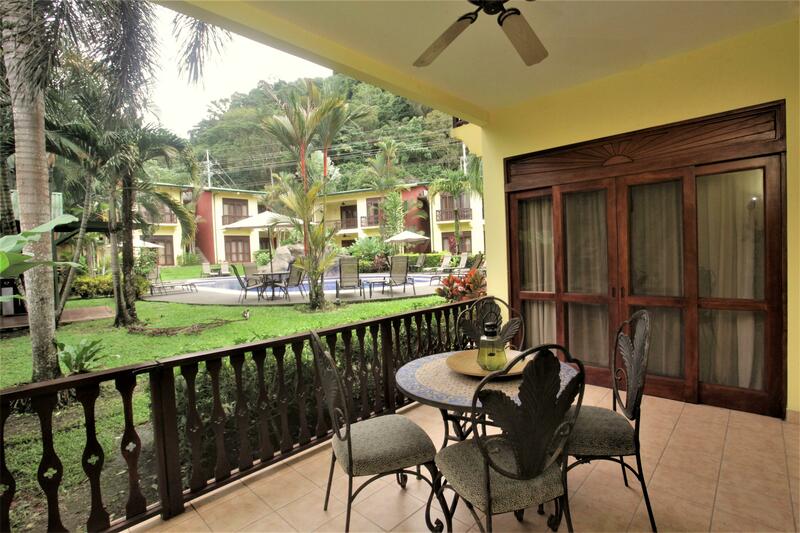 Poolside Condo in Beachfront Resort, Paloma Blanca, Jaco Beach! 2 Night Minimum Stay! Steps to the beach, this is the perfect place for your vacation in Jaco. It is set amid a backdrop of pristine rainforest and looks out onto the Pacific Ocean, only a 10-minute walk from downtown Jaco. There are three swimming pools on site, one large free form lap pool with cascading waterfalls as well as a kid's pool beside it. There are also two beachfront pools which are smaller and more private. All pools include lounge chairs for your rest and relaxation. You have direct access to the beach and can walk out from the pool and put your feet on the sand. LEARN MORE & BOOK! 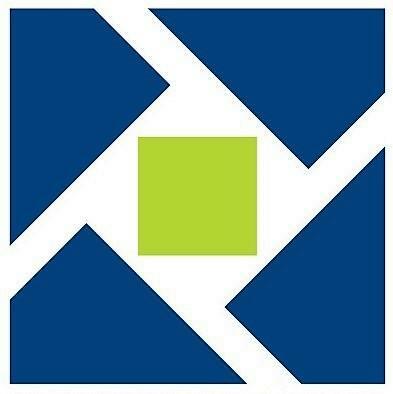 Please let us know if you are interested in booking any of these properties. Please add the dates you are expecting to rent the property.